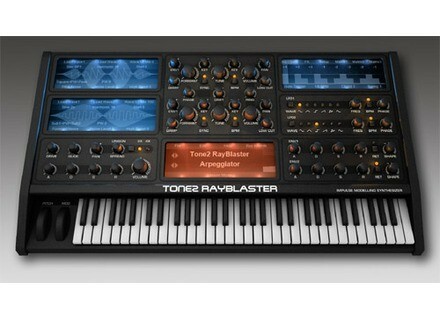 RayBlaster, Other Virtual Synth from Tone2. Tone2 wishes you a happy new year with a special promotion on two of its virtual synthesizers. Tone2 announces the release of IMS Exclusive, a new preset library for its RayBlaster virtual synth. 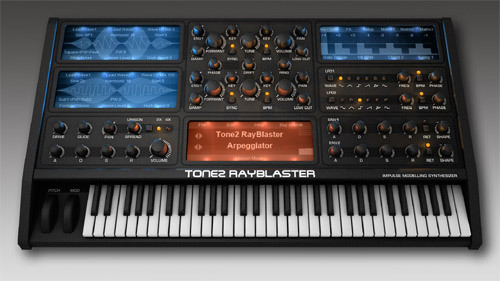 Tone2 Audiosoftware has released its new Rayblaster synthesizer plugin for Windows and Mac OS X.
Tone2 Audiosoftware has announced the forthcoming release of its new Rayblaster synthesizer plugin for Windows and Mac OS X.